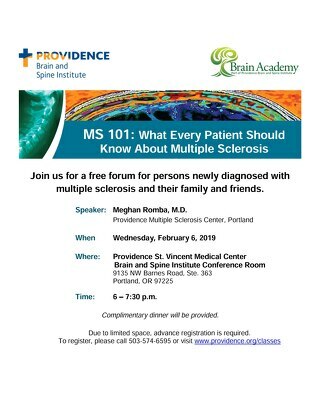 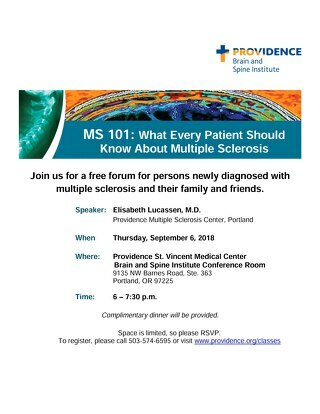 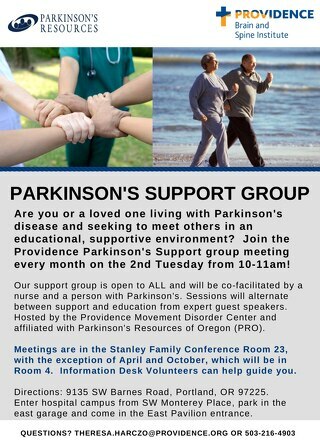 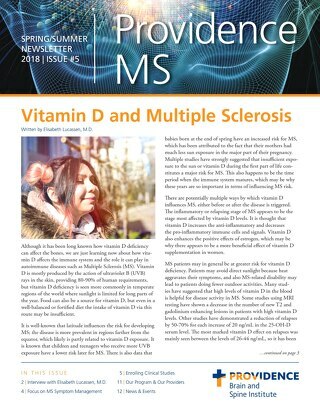 The Providence MS Center presents its Spring 2018 newsletter for patients and care partners! 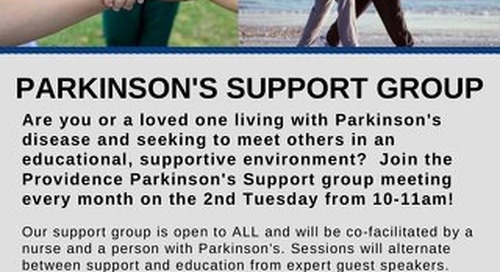 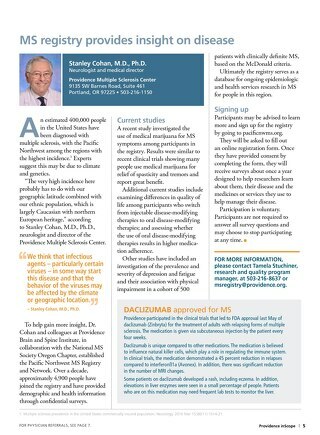 Find stories about physical activity, vitamin D, and an introduction to our newest MS neurologist. 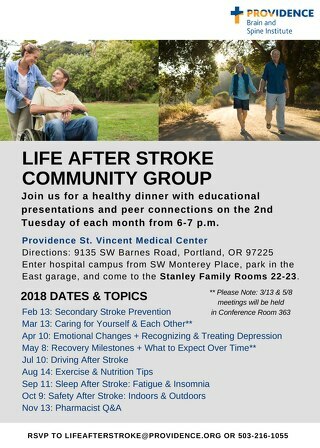 The impact of telestroke care, shared by Providence Brain and Spine Institute's Telestroke Medical Director, Dr. Archit Bhatt.